Guaranteed Job: Over 95 Salesperson job placements every week at NY's top brokerage firms. licensed and employed our 100,000th student. Exam Pass Rate: One of the highest exam pass rates in the industry. Faculty: Real Estate industry experts. Flex Schedules: Invented novel approach allowing you to make your own schedule. Choices: Largest selection of real estate courses live and online. Location, Location, Location: 5 NY area locations + online classes for entire state. Financial Assistance: Paypal Bill Me Later; VA-GI Bill. Contact NYREI for more info. While other schools continue to imitate...NYREI will continue to innovate. All NYREI real estate classes are taught by top professionals in their respective field and every licensing and continuing education course is certified by the New York Department of State. Considering NYREI's flexible schedule and experienced instructors, it was an obvious choice to get my real estate license. Daily JOB/RECRUITMENT Sessions (including weekends) as well as on-going seminars that will help you succeed! Lifetime Job Placement Assistance! The New York Real Estate Institute provides year round, 7 days a week real estate classes from 9 a.m.-9 p.m. We offer non-stop salesperson courses and real estate classes designed to meet your schedule. Our highly qualified Instructors come with top academic standards. Click here for a complete course list. Courses start as LOW as $25. browse through over 400 titles, including books, software, audio tapes and videotapes to further your success in Real Estate. To access the store click link for Online Study and chose Dearborn. You will then see the link on the left for bookstore. Or, just Click here for the Dearborn Bookstore. The New York Real Estate Institute was founded in 1987. NYREI is a member of the Real Estate Education Association. More people have obtained their real estate license from NYREI than any other school in NY. We have several convenient locations in and around NYC. Not in the city? You can take our courses online, and we will find an exam location for you anywhere in the state of NY. Our instructors are top real estate industry professionals that offer expert training & career advice. We have a lounge with vending machines where students can relax. Over the course of our 20+ years as New York's top real estate school, we have built relationships with all of the top real estate firms in order to provide the best possible opportunities for our students. We are more than a real estate school – we are a career resource. 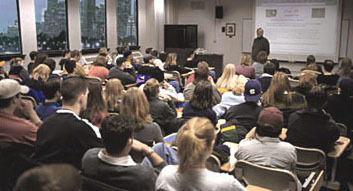 All NYREI licensing and continuing education courses are certified by the New York Department of State. Founded in 1987, the New York Real Estate Institute helps the tycoons of tomorrow launch their careers. Offering flexible class schedules at convenient locations, students here get expert career advice and a wide variety of courses taught by instructors at the top of their fields. With weekly rotating classes both in-person and online—from full licensing courses to continuing-education seminars-NYREI gets its students prepared to jumpstart their careers or successfully start their own businesses. NYREI also offers its students benefits that include lifetime job placement assistance, so that climbing the professional ladder and learning the secrets of real-estate success will always remain within reach. Over the years, we have perfected our novel approach of offering a weekly, rotating, start any time course. This means that a salesperson candidate can start any day and finish in ten days, or take up to four months to complete the course. Each class session (module) can be taken during the mornings, afternoons, evenings, or weekends. The mission of The New York Real Estate Institute is to create a higher standard of real estate learning. It's our goal to ensure that every course assists students in furthering their knowledge of the industry, allowing them to better serve their clients. Contact the New York Real Estate Institute today for more information on our courses and how to register.